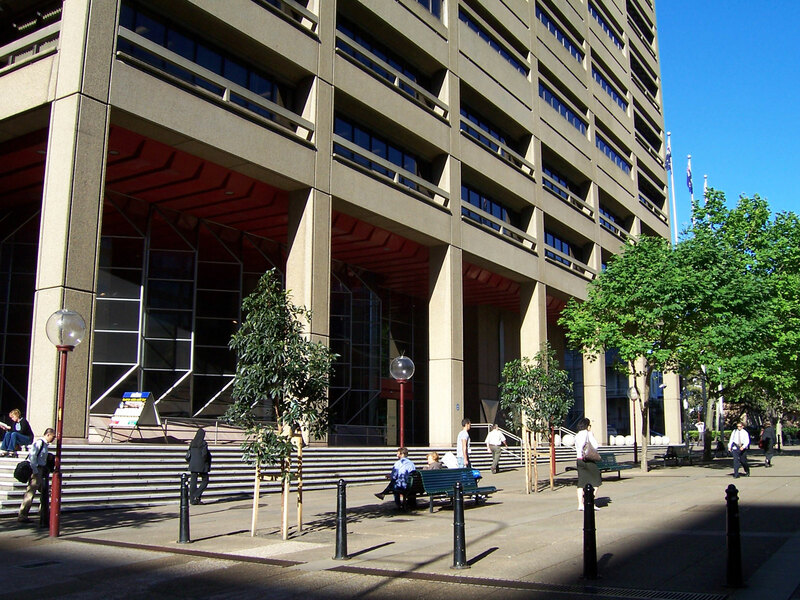 Located in the primary legal precinct of Sydney, the Law Courts building accommodates the High Court of Australia, Federal Court of Australia and the Supreme Court of NSW. The location is referred to as the “Law Courts Building” and “Queens Square”. The Supreme Court’s registry is located on level 5 of this building. The subpoena drop off and courier delivery area, and the file inspection and document viewing room are located on level 4. Courtrooms are located through levels 7 to level 13. You can enter the building from Phillip Street, or Macquarie Street. The nearest railway stations are Martin Place and St James.